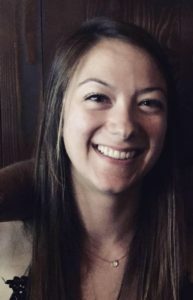 “CAGJ gave me an idea of how much work goes into organizing” Please donate today! My name is Mandy Edwards, and I am in the midst of my 9 month Master’s in Social Work practicum internship, working as CAGJ’s Membership Coordinator. Throughout my time as a practicum intern, I have experienced firsthand how CAGJ is part of creating a more just global food system. Can you make a generous donation to CAGJ to continue these efforts? 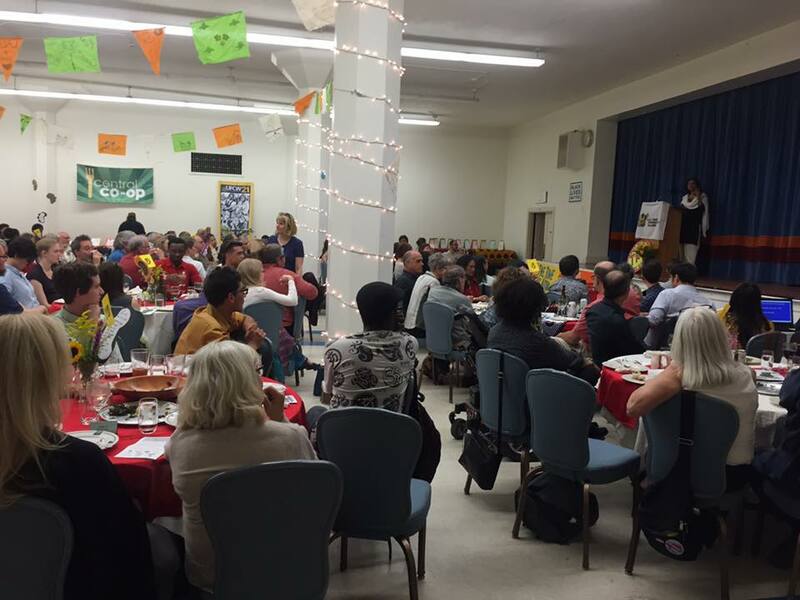 I started in June of this year, which was a busy time to start learning about organizing because it preceded CAGJ’s biggest event – the annual Strengthening Local Economies Everywhere (SLEE) dinner! Helping prepare for SLEE gave me an idea of how much work goes into organizing. I worked with core activists to reach out to prospective volunteers to coordinate their roles and schedules, to ensure the dinner went smoothly. Volunteering with over 50 other people the night of the dinner opened my eyes to one of the most important pieces of what organizing is about – community. Anuradha Mittal gave an inspiring keynote speech about the importance of decolonizing our food system. The energy in the room was buzzing – it was a wonderful thing to be a part of. CAGJ works in solidarity with other organizations fighting for equality and justice in our food system. In November, I was fortunate to join in the celebration co-hosted by CAGJ of farmworker union Familias Unidas por la Justicia, who recently won an historic election, moving them to the contract negotiation stage with Sakuma Bros. Farms, after fighting for a union for over three years. The room was full of members from different unions and those who support FUJ. Hope, courage, and pride created a strong sense of community. Being part of this group and knowing how it brings positive change is inspiring and brings me hope for the future of food justice. It is imperative CAGJ continue to support FUJ in the fight for farmworker justice everywhere. Please help CAGJ continue to provide strategic support to food justice campaigns by making a membership donation today! I have been excited to learn about and experience the importance of individual connections, willingness to do everything you can, and resilience. These qualities allow successful organizing to happen! Your year-end donation to CAGJ will help continue the fight in 2017. P.S. Sustaining Members agree to have funds automatically deducted from their account, allowing CAGJ peace of mind, and more time to focus on organizing. If you are not already a Sustainer Member, please consider becoming one today, at $15/month, or whatever amount you can afford! Just click the box next to “ I want to contribute this amount every month”. Posted in Agra Watch Blog Posts, Food Justice Blog Posts, News, Projects, Slider, Trade Justice Blog Posts.